Ann Marie Reinhart Smith worked at Toys “R” Us for 29 years. Now, the Durham, North Carolina grandmother is unemployed after being laid off as part of the iconic American toy store’s bankruptcy and liquidation. Smith is just one of more than 30,000 US workers who face unemployment as the 70-year-old retail chain unwinds its business after a decade of disastrous management by the Wall Street firms that purchased the company and saddled it with billions of dollars of debt. Workers with decades of retail experience are being left with no jobs, no benefits and no severance pay. Meanwhile, the private-equity barons who bought the company in 2005 have reaped nearly $500 million in extracted profits, and top executives are set to leave with $16 million worth of golden parachutes. Watch Toys “R” Us workers discuss the impact of losing their livelihoods. Private-equity and hedge-fund managers are taking advantage of retail workers to bolster their profits without regard for the middle-class communities that they are destroying. In the process, these bankers are perpetuating a vicious cycle in which the rich get richer at the expense of working people. Despite bringing in almost $12 billion in sales in 2016, once-profitable Toys “R” Us was losing money every year since 2013, burdened by crippling long-term debt payments of more than $400 million to service its crushing $5.2 billion debt pile. This debt is a legacy of a 2005 leveraged buyout by two of the most notorious private-equity companies in the United States: Bain Capital and Kohlberg Kravis Roberts & Co. (KKR), among other companies. Now the fabled toy store chain has finally collapsed under this crushing debt, causing the third-largest retail Chapter 11 bankruptcy in US history, and threatening the livelihoods of more than 30,000 working-class families. The Wall Street fund managers at KKR and Bain Capital don’t seem to care about that—in fact, they’re laughing all the way to the bank, having raided Toys “R” Us for nearly $500 million in profits over the last decade. Meanwhile, more than 30,000 workers are facing the prospect of losing their jobs with no severance pay. Hundreds of communities across the country will bear the social and economic cost of this plunder. 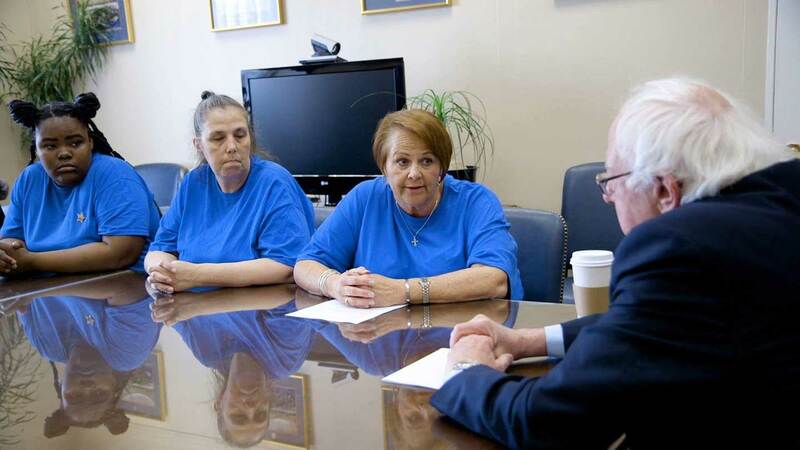 “This is what happens when you have a system that allows private equity firms to destroy profitable businesses and throw workers out on the streets with no severance,” Senator Bernie Sanders, the Vermont independent, pointed out earlier this month after meeting with soon-to-be-unemployed Toys “R” Us workers in Washington, DC. 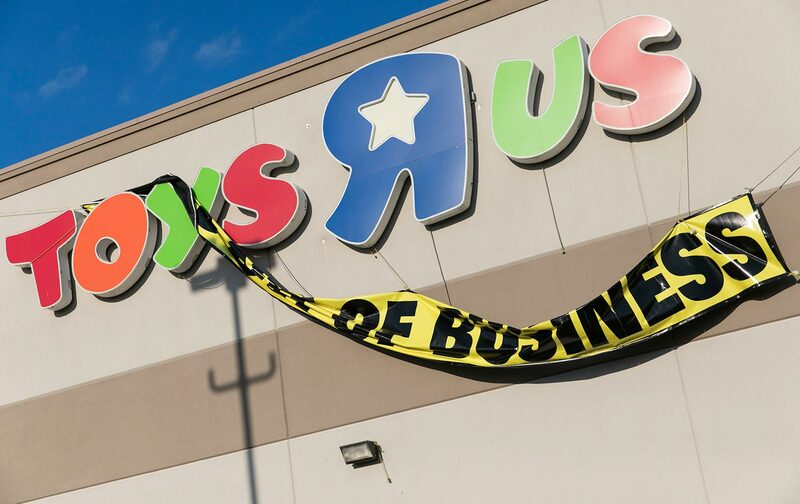 Now more than ever, Wall Street fund managers are using dangerous highly leveraged buyouts to loot retail businesses like Toys “R” Us. Like vultures, they scavenge on struggling companies, and then dump the remains into bankruptcy court before moving on to their next victim. No one seems willing to hold them accountable for their irresponsible and immoral behavior. That needs to change. Two weeks ago, Toys “R” Us workers met with lawmakers on Capitol Hill to demand action in the face of this injustice. These workers are standing up to Wall Street on behalf of their families and communities, and they deserve broad support from all Americans who care about economic fairness. The Toys “R” Us bankruptcy scandal makes it very clear: displaced workers need severance payments, communities need dislocated worker grants that lessen the impact of job loss, and it’s finally time to crack down on the outrageous Wall Street abuses that threaten America’s working class communities. 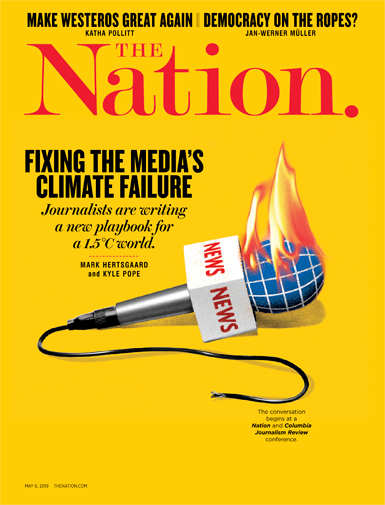 Billionaire fund managers and their firms must pay for the damage they’ve caused. Toys “R” Us workers need immediate severance pay—if Bain and KKR were to forgo their predatory profits, each worker would receive about $15,000 in severance, a pittance for what in many cases is a lifetime of diligent wage work. If these greedy billionaires are not willing to do the right thing and help the working-class people that they have so callously exploited, Congress should step up and institute a windfall-profits tax to make them pay. Lawmakers and regulators should move forward aggressively to police the dangerous leveraged buyouts that put so many working-class communities at risk. The Toys “R” Us bankruptcy—along with massive job losses stemming from predatory Wall Street deals at Sears, Kmart, Sports Authority, Radio Shack, and Claire’s—should be a wake-up call for Congress and financial regulators. It’s time to crack down on the billionaire Wall Street fund managers who put profits before people. Winnie WongWinnie Wong is a founder of People For Bernie. Michael KinkMichael Kink is the Executive Director of the Strong Economy for All Coalition.